Sometimes I start out with a plan, but it's always a good idea to stay open to change. 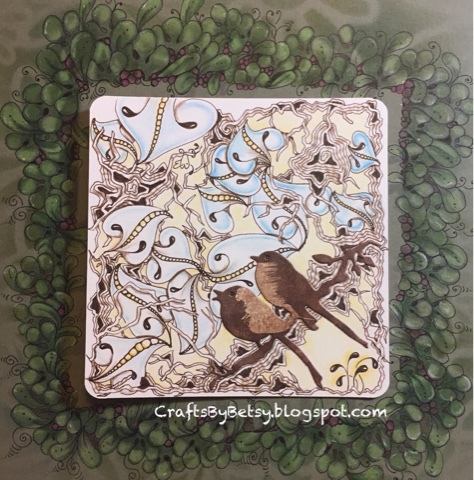 I started with this die cut, The Sweetest Sound II by Penny Black, that I colored with Copic markers. I wanted it to be a "string" for a tile so I traced around it onto an apprentice tile. 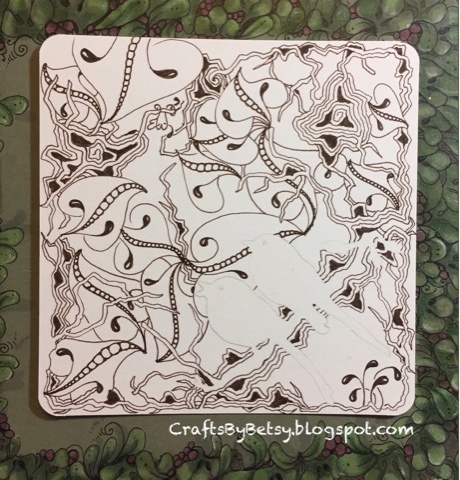 I added Diva Dance (Zentangle® video) and Toodles (new tangle Zentangle video), alternating both until it looked complete. Diva Dance and Toodles in Sepia micron with colored pencil. 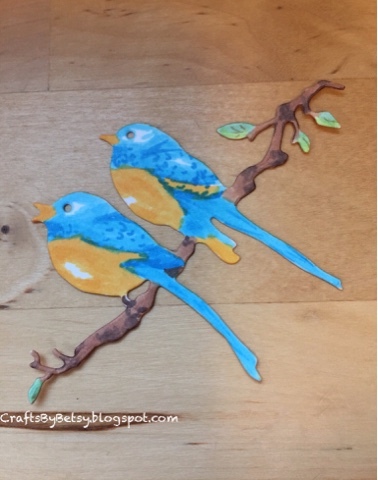 Die cut added using Distress Oxide ink.